Audio is arguably one of the most important things to get right with streaming. From having a good balance between game and mic audio, to making sure you’re not peaking on the mic; audio is something worth spending time on. As streamers, you want to make sure newcomers are having a good experience. First impressions and audio is a part of that. Like I mention in my speech guide, people aren’t going to want to stay if they can’t understand you. I have spent lots of time and money making sure my setup and environment are up to my standards. That being said, this guide (like many), is not to tell you how to stream. I will use my personal experiences to hopefully give some insight into something that is quite overwhelming for new streamers. Also, this isn’t an audiophile guide so I’ll speak in the most basic way possible. A comparison of the two different kinds of microphone set ups you can use. An overview of microphones and how to figure out which is best for you. Products that will improve your audio set up. How environment affects your recording experience. This is a very common area for debate and it is also one of the first things newcomers run into when looking for their very first microphone. As someone who has used USB mics and is now running an XLR mic setup, I can confidently say XLR is the way to go if you’re serious with streaming, podcasting, music production, or any audio related recording. USB is all about convenience and simplicity. You have a computer with USB connectors, a USB microphone, and a mouth to speak with? Boom, you can start recording right away with a USB microphone. There is very little additional set up which is why they are considered “Plug and Play” and very easy to get into. On the flip side, this also means you’re quite restricted down the road. If something breaks you’re down to buying a whole new microphone and if there is something going wrong with the microphone it can be hard to pinpoint what the problem is. XLR microphones require multiple parts to work. 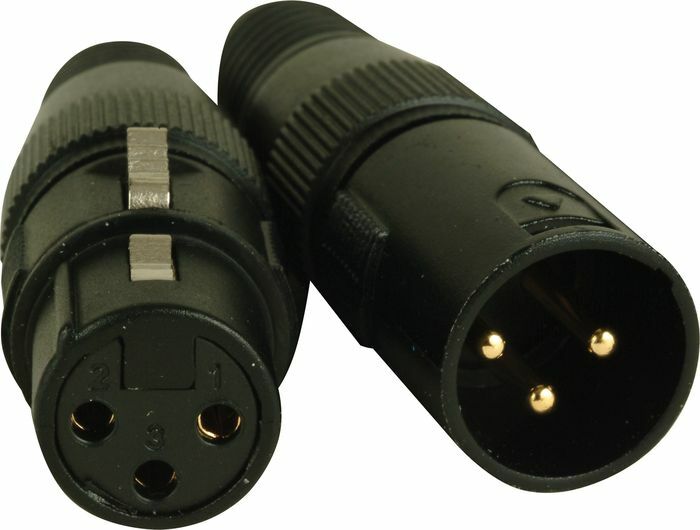 They use a male to female XLR cable that runs from the microphone to an Audio Interface or Mixer which connects to your computer typically through USB. On top of that you can add more complexity when you consider things such as Condenser microphones needing phantom power on the Audio Interface while Dynamic microphones don’t. If you’re a new streamer looking to upgrade your audio, it may look like XLR is too much of a hassle to bother with. However, what you are getting is a set up that sounds better overall, provides more room for upgrades, and gives you more control over everything. To be honest, if you are looking for a long term set up, XLR will be cheaper than USB. This is because just like a PC you only need to swap out certain parts rather than the whole thing. BUT (and this is a big “but”) much like any computer peripheral, it is very dependent on your needs and budget. Skip the headset microphones altogether. I actually won’t be talking about headset microphones in this guide because in terms of audio quality, they aren’t what you want. If you’re brand new to streaming and have never done ANY sort of recording online, get your foot in the door with something cheap but acceptable. Streaming is not for everyone and it would be terrible to buy a $100+ microphone to only find out you don’t enjoy creating online content! The Blue Snowball is cheap but with enough tweaking you can make it sound acceptable on stream. When I ran the Snowball I actually had compliments regarding my audio quality. If you have already had your taste of online content creation and would like to be more serious about it, save up for an XLR setup. Trust me, it is worth it if you are serious about the hobby. If you already have the capability to save up for a $150+ microphone like the Blue Yeti or Razer Sieren you should be able to save up to get a decent XLR setup. 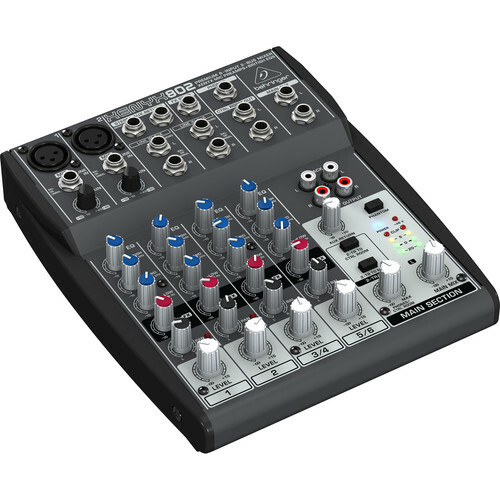 A decent entry level Audio Interface such as the Focusrite Scarlett Solo (which is what I use) coupled with a low end XLR microphone will sound better or comparable to a higher end USB microphone. Not to mention just having the extra benefits of an XLR setup. The two most common types of microphones you’ll run into are Dynamic and Condensers. There are other ones such as Shotgun, Ribbon, etc. but those aren’t used enough to talk about them. Condenser microphones are likely the ones you will encounter most frequently. They are built in a way to handle higher frequencies and “faster” sounds (such as snaps/claps/etc.). This makes them more “accurate” but can also lead to them being quite sensitive which is why you get common complaints that it’s picking up every sound. Condensers are built with a studio environment or acoustically treated room in mind. Your recording area is important to how you will sound which we’ll get into more later. It is important to note that if you plan on using an XLR setup, Condenser microphones also require phantom power which is typically in 48V supplied by your Audio Interface or Mixer. Dynamic microphones (usually) won’t require phantom power and are considered slightly more durable to Condensers. They are not as sensitive as Condensers which makes them ideal for things like drums and electric guitars. This doesn’t mean you cannot use one for voice work. There are many podcasters that use Dynamic microphones. To put it simply, Condensers may give you a more “accurate” and full sound of your voice and is great if you plan on doing some singing on stream or if you are quite a range-y speaker. Without the proper recording environment, be prepared to do some tinkering around to avoid unnecessary noise coming in. If your focus is more level headed discussion such as podcasts and you are going to be doing more “spoken word” style of speaking; Dynamic may be the way to go. Additionally, Dynamic microphones will generally be cheaper and can still sound great with the proper Audio Interface/Mixer. You only need to worry about Audio Interfaces if you are using an XLR setup. To put it simply, an Audio Interface takes the analogue signal (your voice) from the microphone and transforms it into a digital signal your computer can use. USB microphones have this essentially built-in which is why quality is generally cheaper as it has to compact everything into one device. Having a dedicated Audio Interface gives you more control over how you sound. If you are just getting into your first XLR setup you shouldn’t overthink it. In the beginning all you should need is a way to get your XLR microphone to work with your PC. There are certain things to think about though. For example, if you’re a Creative streamer and do music you might want to get one with more inputs for instruments. As mentioned before, if you are using a Condenser microphone you will need phantom power. This generally comes as 48v on most Audio Interfaces. All phantom power does is supply enough voltage to get the microphone to work. Even if you are getting something such as a Dynamic microphone, you should consider getting an Audio Interface with phantom power. The nice thing about XLR set ups is its modular ability so thinking about upgrades down the road is important with Audio Interfaces. One of the most common entry level Audio Interfaces is the Focusrite Scarlett 2i2. I have the Focusrite Scarlett Solo which is cheaper but has less inputs. If you are planning on recording with the microphone closer to your mouth, a pop filter is necessary. It helps deal with the “Plosives” of speech which are things such as your P, T, and B sounds. It stops the air made from those sounds from hitting the microphone. Since you will likely be having movement on the desk from typing or moving the mouse, an arm or stand will help with vibrations getting to the microphone. It can also help in positioning the microphone to fit your setup. If you have many hard surfaces around you, foam panels will help reduce the “echo” that comes from your voice bouncing around. Even a few of these placed around you room can help immensely. Yes, a rug I would consider to be very helpful if you are streaming in an un-carpeted room. Just like foam panels, it will help with the reverberation. I would like to briefly talk about environment because it is such an important factor in the quality of your audio. You may have a sub-par microphone but a well treated room for recording and it will sound better than a high end microphone in a poor environment. Here’s a great comparison between a $50 vs $1000 microphone that showcases how price isn’t everything and the importance of your environment. When testing your microphone you should listen and hear what problem areas are in your environment. Computer fan too loud or have a mechanical keyboard? Try setting up a noise gate or try different mic/tower placements. Have lots of bare walls? Try acoustic foam panels or even hanging blankets/towels. There are many ways to treat your room that are inexpensive and easy. Audio should not be an overthought, especially if you are serious about streaming. There are certain things you should do such as testing your audio levels, treating your recording environment, and setting up the proper precautions to make your microphone sound the best it can be. Things don’t have to sound like a professional studio but viewers should be able to understand you with as few problems as possible. Some people may be fine with the bare minimum and some people (like me) strive for the best possible set up that can be afforded. Either way, if you have the ability to get rid of issues, take the time to do it. Another thing to do is research when searching for new microphones/set ups. Microphones sound different from person to person and room to room. A microphone is a tool and different situations require different tools. In the end, do your research and try to find a microphone that best fits your voice and environment. For some great examples and comparisons, I’d check out Podcastage’s YouTube channel. Purchasing things for your stream is an investment in your hobby and with any investment the proper research should be done. With the amount of resources available on the internet, there’s simply no excuse to not use them. Being resourceful is an important skill to have as a streamer and in life! 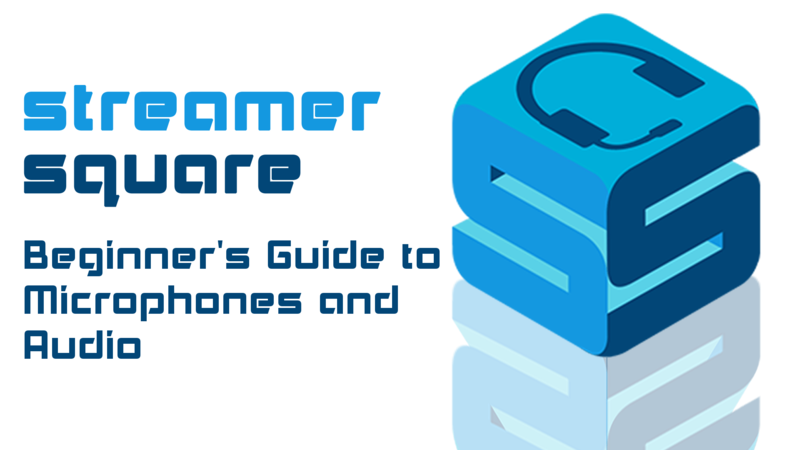 Hope you enjoyed this guide and good luck on your first steps into improving your audio!